Home remedies | Immortal words. Mortal me. ​Shoutout to all my girly friendz…. This one is for you.. Grab an old mascara container (empty one hopefully ) clean it thoroughly. 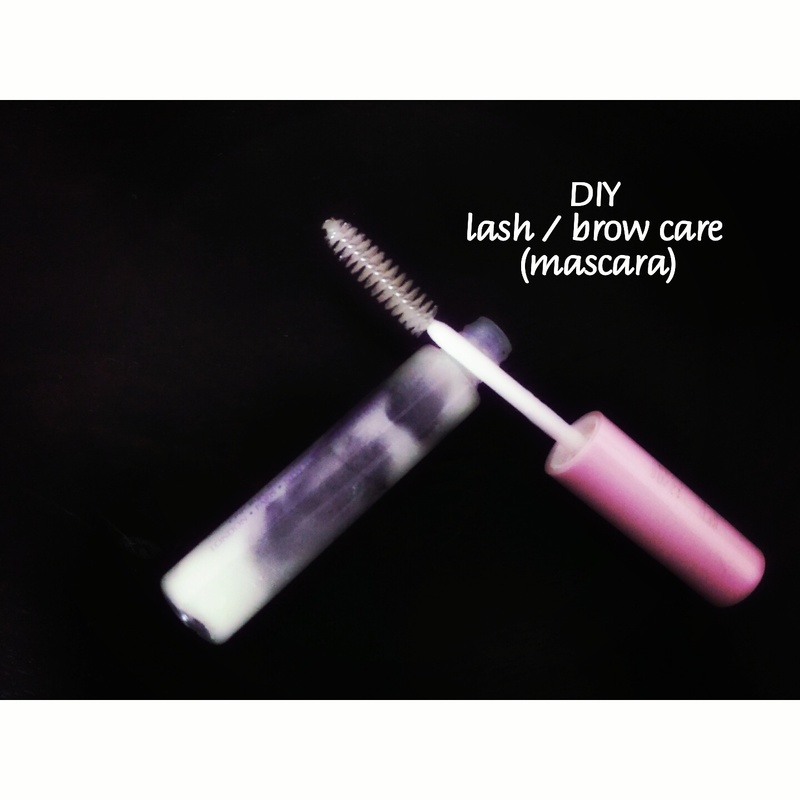 Use it as a gel mascara and gel brow definer with the wand / applicator. Let me remind you #ALOE_VERA_GEL is a lifesaver in many beauty hacks. It improves skin texture and stimulates hair growth. If you have dreamt of thicker and darker lashes and eye brows then castor oil is a go to doctor. You can also use other oils like almond or coconut oil instead of water, but since I’m an oily skinned creation I’m sticking to one oil and darling water for my health hacks. This is only a health hack. For nourishment of eye lashes and eye brows. Please dont even expect it to turn out to be a water proof or water resistant solution . Best time to apply this is before you sleep. Have you been grumpy and sad lately because your untamed extra damaged hair has kinda lost its life? 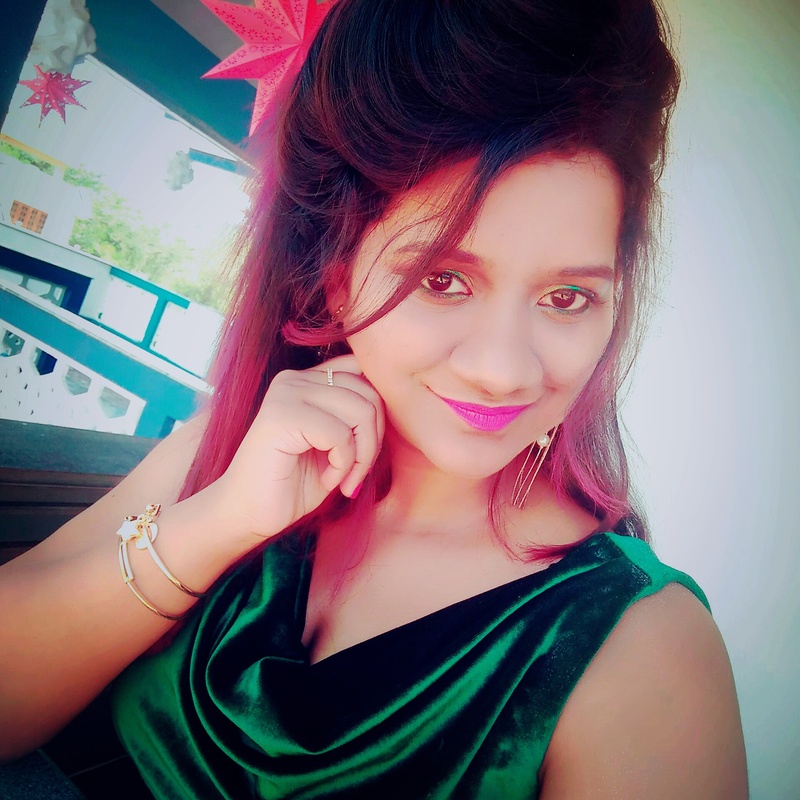 I have been going through something very similar after trying hair straightening, smoothening and using all heat-styling products. And moreover using chemicals to maintain the same. I’ve been worried sick lately seeing my hair so lifeless, lack of lustre and so brittle. And than I started doing some research on home health care methods and I blended two methods together to come out with this magic mixture that, believe me! Is helping me revive my once healthy hair back. Okay!!! so without getting into much blabbering.. This masque is the “eggy-butter-oil theraphy” as I call it. First warm the butter and coconut oil (incase it’s in solid state) and mix thoroughly and let it cool abit (we dont want cooked egg on our head… Lol). Than mix in the olive oil and whisked egg mixture and blend it well till its smooth and creamy. Apply it on dry hair from roots to tips. Massage onto the scalpe thoroughly. Twist your hair into a bun, and wrap the hair cap or a plastic bag around it so that it doesn’t drip out much and doing this will also help keep the moisture and heat in check. It’s gonna drip abit so keep a hand towel or cloth ready to wipe around ur neck and forehead. It stinks, certainly. You can’t expect eggs to smell like oranges. Keep it on for 45mins to an hour or even more as per your convenience. Rinse thoroughly using a good shampoo and conditioner. Coconut oil is high in vitamin E and other nutrients, and your hair can absorb them all. The result will be hair that is thicker, shiner, healthier and has stronger roots. It also contains lauric and capric acid, which have amazing antimicrobial powers – meaning it will make your hair and scalp healthier and prevent dandruff, itchy scalp and infections. Make sure you buy the extra-virgin kind for maximum effectiveness. This can be used as a deep moisturizing treatment and to promote hair growth. Massaging your scalp with olive oil will promote scalp health and improve circulation, while fighting off bacteria and leaving you with softer smoother hair. This makes your hair really soft and shiny and adds volume. It’s very rich in protein hence it promotes hair growth. It’s used worldwide in hair care therapies. Eggs they are rich in protein, vitamins, essential fatty acids and antioxidants. These nutrients can repair various hair problems and give you silky and shiny locks. Dry and brittle hair, hair loss, dry, flaky scalp, dandruff – whatever the problem, there are egg packs for all these issues. The essential fatty acids provide nourishment to the hair follicles. The xanthophylls or the antioxidants, which bring about the rich yellow colour, increase the oxygen supply in the scalp and help mend rough and easily breakable hair. The cholesterol helps in penetration and absorption of these vital components thus increasing the efficacy. Hence it promotes hair growth, acts as a conditioner and restores damaged hair to life. Its a miracle hair masque. Believe me. 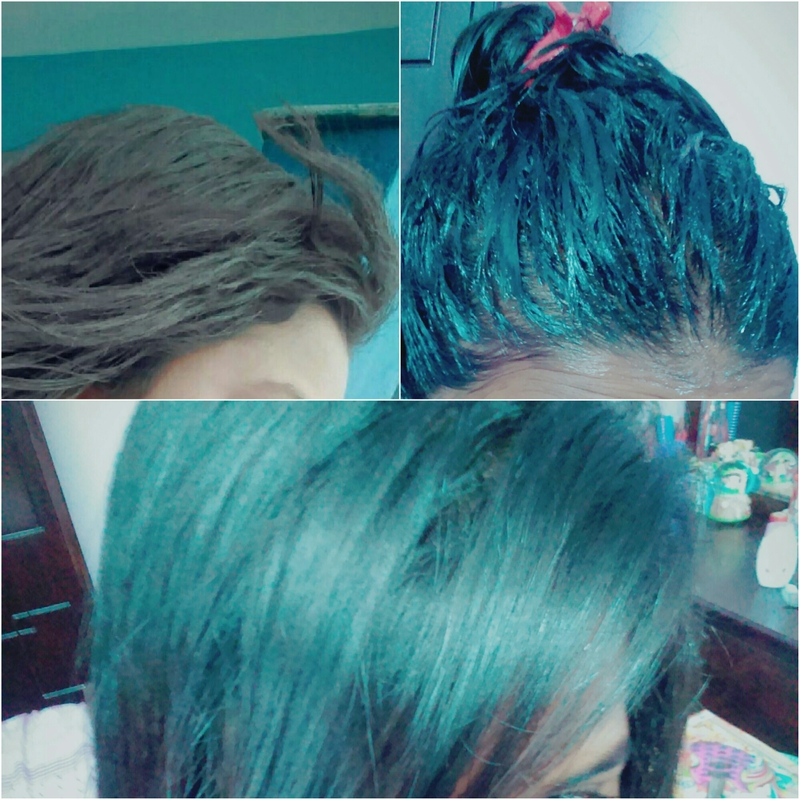 My hair was really damaged after all that smoothening and hair dyes I used. And it had become really frizzy and brittle. It really bothered me since I had really healthy hair once. Now it was so utterly damaged and so much of hairfall . Thanks to this natural home remedies, it’s getting my hair back to life. Even though it smells awful, I would definitely do this over and over again till my hair is more healthier. All women out there you should give it try. Also note that blending different oils together and giving your hair a good massage works wonders too. 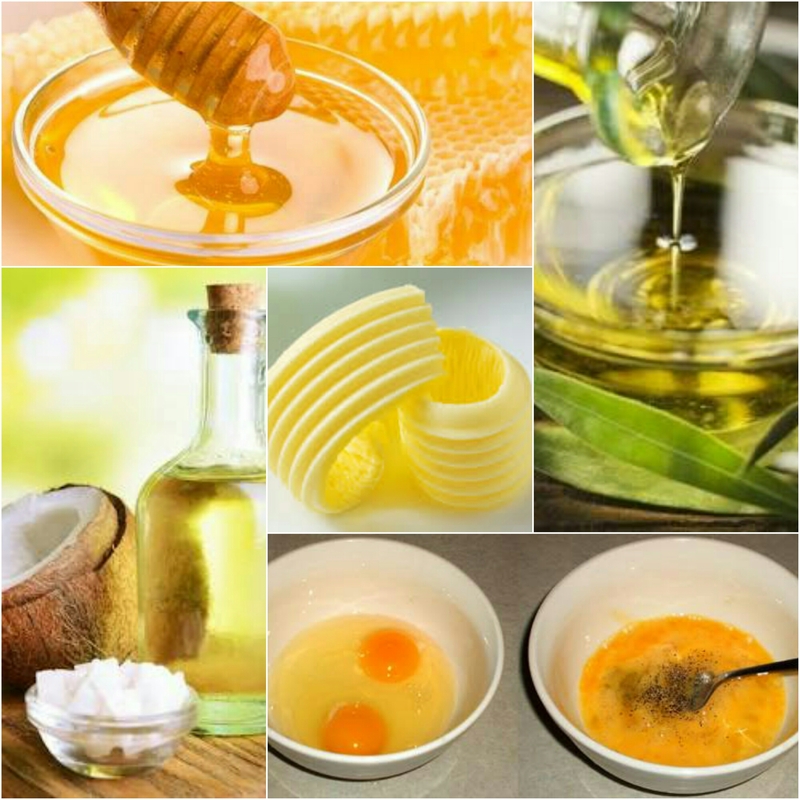 Castor oil, Vitamin E oil, organic coconut oil, olive oil, almond oil, lemon or lime juice, neem, aloe vera gel, etc. You could also use fruit paste like banana or avacado etc. for making hair masks. Adding alil lemon or neem leave juice to a mixture of oils can help fight dandruff problems. Do a little research to find out the benefits of oils for your hair according to your hair problems. Hopefully this was helpful. Do comment and let me know if you have anything to share or advice me.